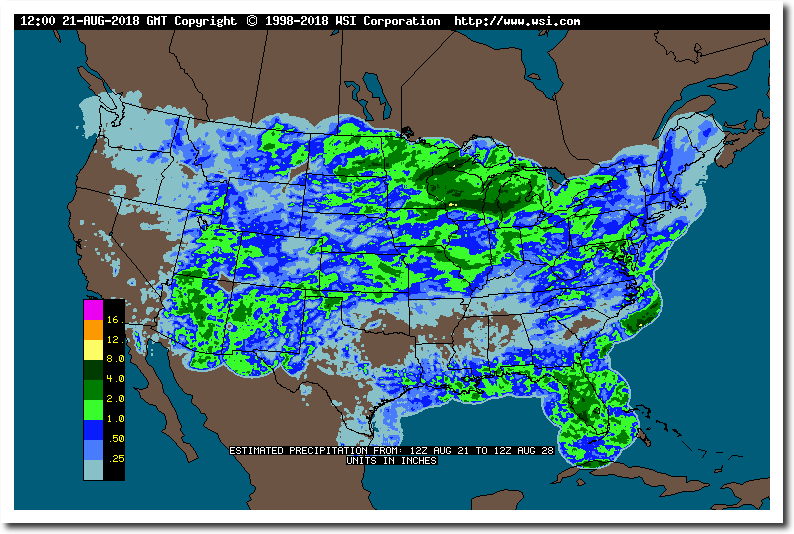 Seven years ago, President Clinton’s climate adviser, Joe Romm, announced the start of the Southwest Permanent Drought. The southwest has been getting lots of rain. And lots more in the forecast. In the meantime, repeated timely rains and moderate temperatures are all but guaranteeing record crop yields in the US Corn Belt. One of many recent bumper crops we have experienced. One recent effect of “climate change” has been many huge crops over recent years, thus low food prices and plentiful food for everyone. Yet you seldom hear mention of these benefits in the LSM. Only the bad stuff, like a garden variety summer heatwave. Where are all the hurricanes? Almost peak of the season and none to be found. 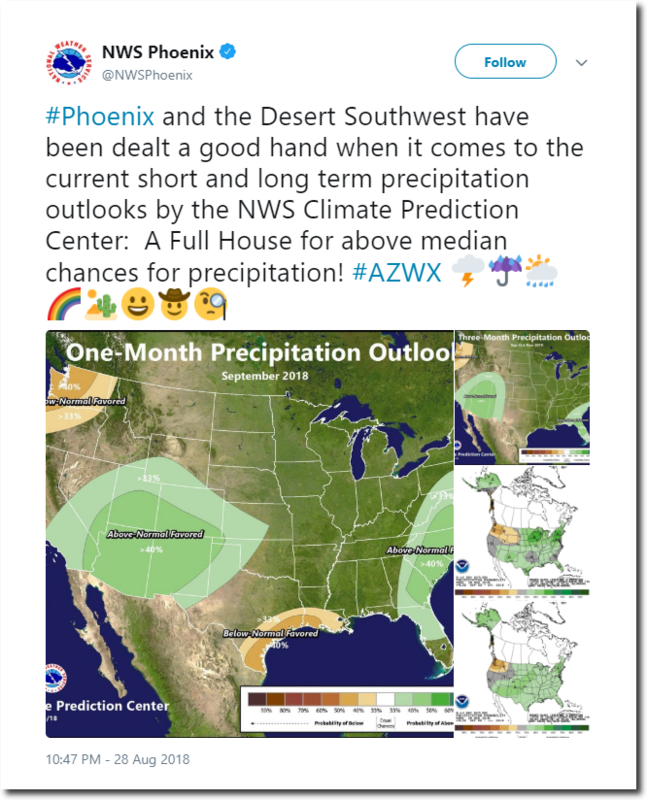 Yes, it has been a wet and mild summer here in Phoenix – a very active monsoon season. It almost didn’t feel like Arizona this summer. I have an automatic temperature and humidity logger set up to take readings every 3 minutes and it has been relatively humid this year. I can’t keep the weeds out of my xeriscape – it’s morphing into a prairie! Nature will always do its thing when we let up for a moment, won’t it?